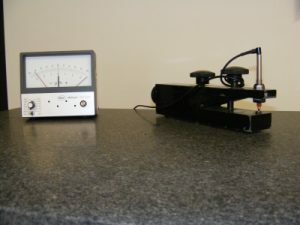 Dimensional Gauge Company is THE experts in granite surface plate calibration and repair. We are not a “Clearing House” calibration lab. 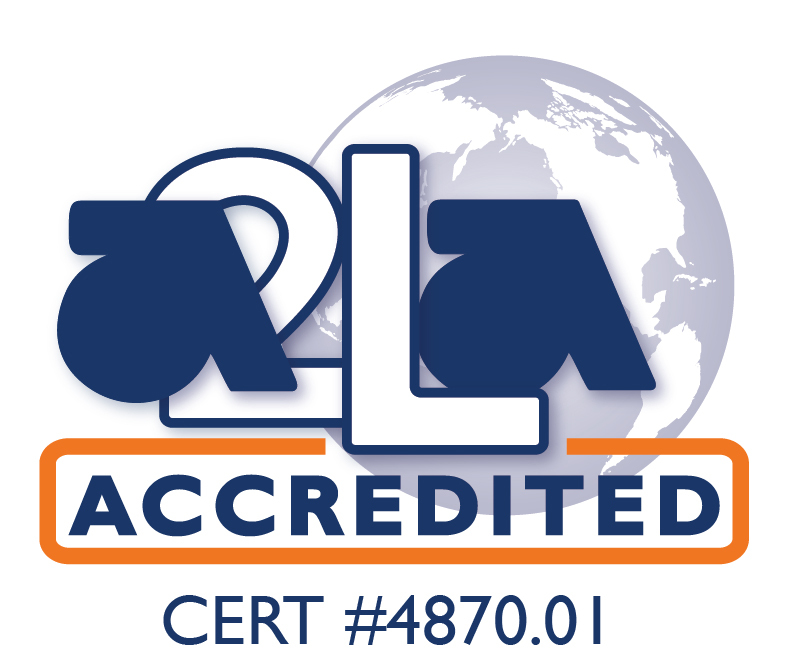 We are highly skilled specialists that can provide surface plate calibration and recertification the other labs cannot. 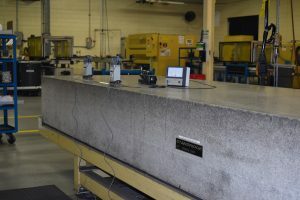 Is it time to have your granite surface plates calibrated by professionals? See our detailed discussion on Granite surface plate calibration. Surface plate calibration includes repair capability and should be performed only by experts. Starting with a test of Flatness, Repeatability and Delta T for a Mean Plane (Flatness) Test: A computer-generated topographical plot (Center Figure) providing evidence of a Mean Plane (Overall Flatness) value that will be reported on the certificate. You will not get this from labs that use autocollimation to test flatness. It also qualifies the Repeat Reading test and quantifies the flatness value with a real number. For best surface plate calibration we use electronic levels (Left Figure) to measure the plate for flatness and generate a topographical plot (Center) to prove our work. The levels have .1 arc second resolution (4 uIn on a 4″ sled) and they are capable of very good measurement uncertainties. The Mean Plane (Flatness) test is used to qualify a plate after a repeat reading repair. Repeat Reading Test: This instrument (Bottom Figure) utilizes a 10″ diameter, 5″ radius floating fixture with a 5 uIn. resolution LVDT/Amp that tests for localized wear. Repeat Reading is not a flatness test, contrary to what you might have been told. It measures only a change in the radius relative to the position of the fixture/LVDT position when it is initially zeroed. A change in the radius is caused by localized wear. The Repeat Reading (Repeatability) is the easiest to test but the most difficult part of a repair. It is also the most critical test parameter of a granite plate surface as it is caused by repetitive use and wear. A”perfect” repeatability does not indicate flatness because the surface could be convex or concave. A flatness test alone or a repeat reading test alone is an incomplete calibration.